What happens when you forgot your iPhone passcode? You tried to unlock it but it keeps bouncing you back – you feel terrified, depending on what you have stored on it, one thing that scares you the most is not knowing if the data can be recovered after cleaning your passcode. I’ve got great news for you, yes you can! It’s actually easy to recover iPhone passcode without losing data. The passcode of screen lock: if you forgot your iPhone screen lock passcode, then you can check the Method 1. It will help you unlock your iPhone within minutes, and then you can use it again without losing data. 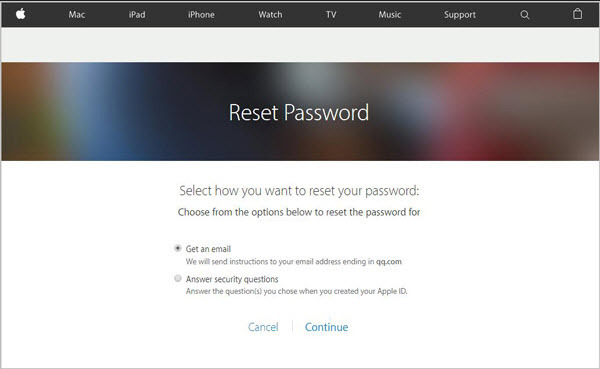 The passcode of Apple ID: if you are looking for way to recovery your iCloud account passcode, then you can use the Method 2. It will help you get your passcode back soon. No matter when you lost your iPhone passcode or what kind of iPhone passcode you’ve forgotten, there is a three-step method for you to solve this problem easily without any hassle. It’s better than just recover your iPhone passcode; it will remove the iPhone passcode and give you the chance to start all over again on your iPhone. There is no any way that can remove your iPhone passcode without erasing your data, but you can back up your data first. It’s the important step to recover iPhone passcode without losing data. Don’t worry, if your iPhone is already disabled now, you can still have chance to back up your data first. If the iOS version on your iPhone is before iOS 11.4.1, then you can still sync with iTunes even though it is disabled now. 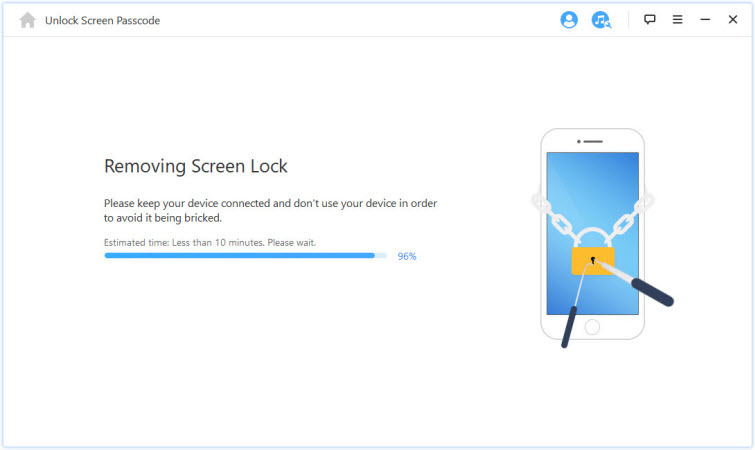 Just connect your iPhone to iTunes and backup your iPhone first then you can continue to the second step to unlock your iPhone easily. If the iOS version on your iPhone is iOS 11.4.1 and the later version, you still have chance to back up. 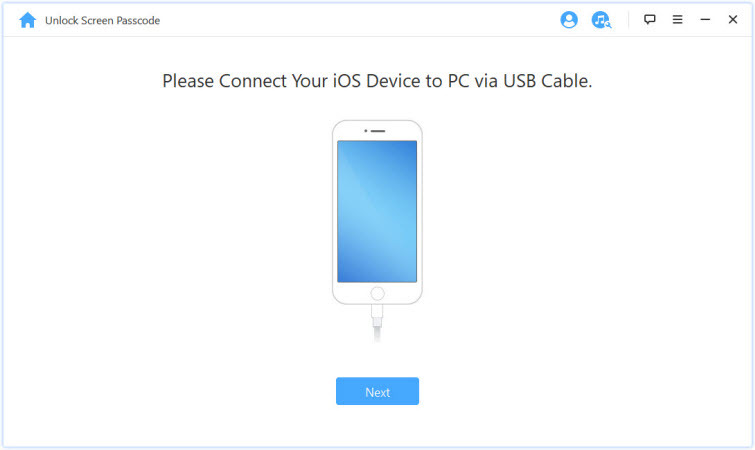 If you have turned on the USB Accessories on your iPhone, then you can connect your iPhone to iTunes and back up first. 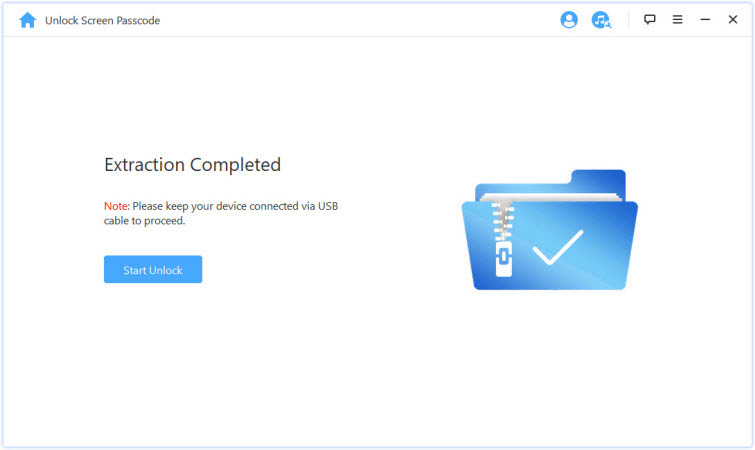 After finish backing up, you can start to unlock your iPhone now. 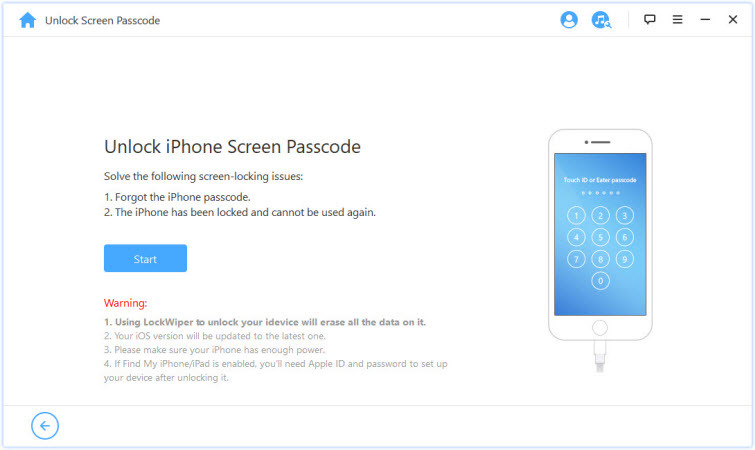 One of the easiest ways to recover iPhone passcode without losing data is to invest in quality software like the iMyFone LockWiper. With this tool, recovering your iPhone Passcode without losing your data is now possible with just a few clicks and I mean in a few minutes. So, you have nothing to worry about when you forget your iPhone Passcode. Even better that it can also help you unlock Apple ID if you forgot the password of it. It will remove your iPhone screen lock without a passcode. Supports all locked, broken screen and disabled iPhone. Unlocks 4-digit/6-digit passcode, Face ID and Touch ID. 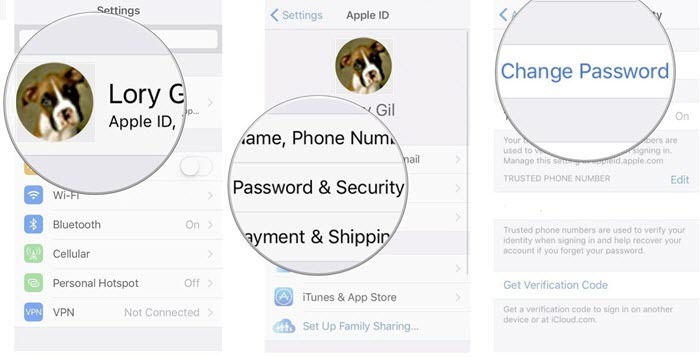 Unlocks Apple ID without password on activated iOS devices. 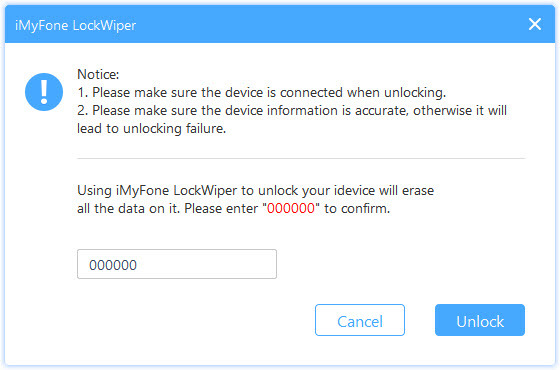 Step 1: Download iMyFone LockWiper on your computer and launch it, and then click “Start” to begin the process. 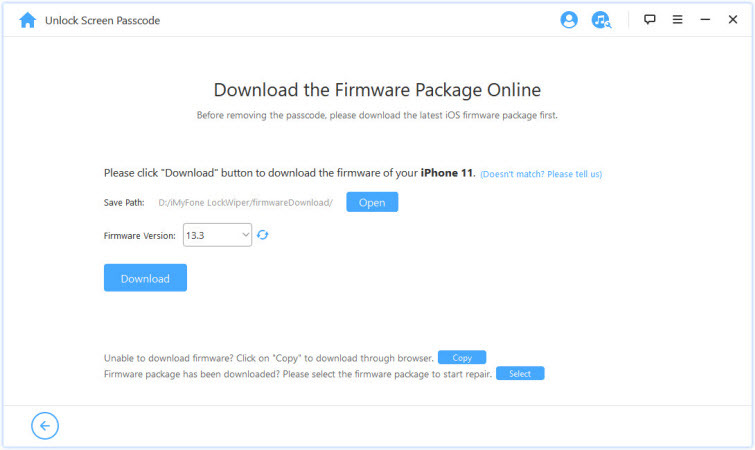 Step 3: Download the firmware and wait for it to verify and extract. Step 4: After that click “Start Unlock” to begin the unlocking process. Step 5: Enter 000000 to confirm this action. Step 6: This will unlock your iPhone without much stress. This is the last step on how to recover iPhone passcode without losing data. Remember we talked about you back your data up, if you backed it up on iTunes, here is how to restore the files. 1. You will first need to plug in your device to the computer that you used to sync the files, and launch iTunes. 2. Select the model of your iPhone on iTunes. 3. Click on Restore Backup to get all the data back to your iPhone. There’s always the possibility that you may forget your Apple ID or passcode. When it happens to you, don’t panic yet, you can find back your passcode by following the steps here. Apple provides multiple ways to recover a forgotten ID login or passcode, and you can start the process either directly on your iPhone, or with a web browser. Open the Settings app and scroll down and tap on “iCloud”. Tap on the email address at the very top of the iCloud settings screen. Tap “Forgot Apple ID or Password?” and then type in your email address and click “Next”. Answer the security questions pertaining to that Apple ID, and follow the onscreen directions to complete the process. Go to appleid.apple.com and click Forgot Apple ID or password in the center of the page. Enter your Apple ID. Click Continue, and then select I need to reset my password. Now choose how you want to recover your password, through email or by answering security questions. You just need to know that just because you’ve forgotten your password doesn’t necessarily mean, you will lose your data, you just need to pick the right and convenient way to do this. You should also know how to manage your passwords too, this will save you the stress.